My tent leaked from day one, but that was ok. The tent has started ripping and one strong wind bent the middle support. This is the worst tent I have had the misfortune to purchase. This tent lasted 18mos whereas my previous tent was 10yrs old before I had to replace it, and it never leaked from day one with no outside assistance. Tent is junk. I won it at a company party. When I opened it there were NO POLES included with the tent!!! How useless is that? TRASH. My company gave me the tent. I won it at our end of year party. 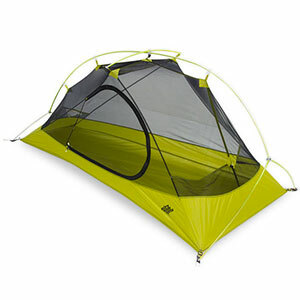 When I opened the box to use the tent, there were no poles and I can't seem to find out where I can get replacement parts. Will buy my tent elsewhere. Magellan is very poor quality and has NO customer service. Welcome to Trailspace, Karen. Too bad about the lack of tent poles. Was it a new unopened box? In case it helps, I believe Magellan is a brand of Academy Sports: https://academy.custhelp.com/	Good luck! I've owned tents this size from other brands that have lasted years even with abuse from teen groups, an occasional snowstorm, and one or two storms while left outside in the backyard (it was Jeep brand). I've used this tent about once a year for the last five years. With light use, no snow... But one solid wind storm, this tent is worthless. The fiberglass poles are not nearly as durable as they should be. The metal poles have no key to secure them to the nylon straps, and the rain flap, the size of a speedboat cover is supposed to stay on with a few below-grade elastic straps with plastic clips that hook into paper clips connected to the poles. You would be better off cutting a few sticks of a tree and staking a tarp to the ground. This tent is a hunk of junk. Tent is junk. The parts are not all there. I made my own parts, put the tent up, and a gust of wind, not that strong, bent the center ploes. I am an avid camper and I would never by this tent again. Plenty of room. That is worth one star. The second time the tent was used it rained (lightly) and the tent leaked from every seam and zipper. It was raining in the tent! Sent an email to the manufacturer for some support. They said ,"When seams are sewn, the fabric is pierced. Upon set up the fabric is stretched and may further enlarge the piercing. As state in your owner’s manual, we therefore recommend seam sealing your tent body before each use. " So basically it is my problem. Ok. The other reviews about leaks are obviously from inexperienced campers. Any experienced camper knows you MUST waterproof. First time out with this tent I did just that, to the tune of 4 cans of water seal. Then the next day we had rain. NO PROBLEM. It was a hard rain too that lasted about 20 minutes. 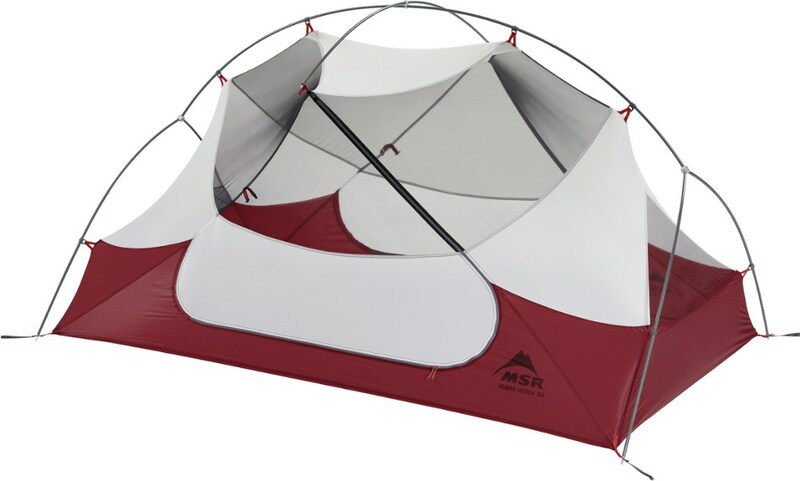 This is a great tent for the money. I am 6'1" and can stand up and not even come close to the top. If it lasts 2 years then I will be happy and buy another at that price. My family and I own 2 of the Bryce Canyon Tents. We love them EXCEPT the poles are not designed very strong. The angle poles that span the top of the tent broke where the poles bend. On the other the riser poles have come apart. We would love to use our tents again but are having trouble locating replacement parts. We are a family of 7: 3 teenage boys, 1 preteen girl, 1 small boy, and my wife and I. Great price, great size. BUT... the poles didn't hold up. The bendy poles that go on top of the tent snapped at the ends, then the metal legs bent. Then ends of the tent sagged. The only place I could stand up without my head touching was in the very center of the tent and I am only 5' 4". The leaking wasn't too bad, all tents are gonna leak some. Definitely taking this tent back to Academy! Not buying this brand again. 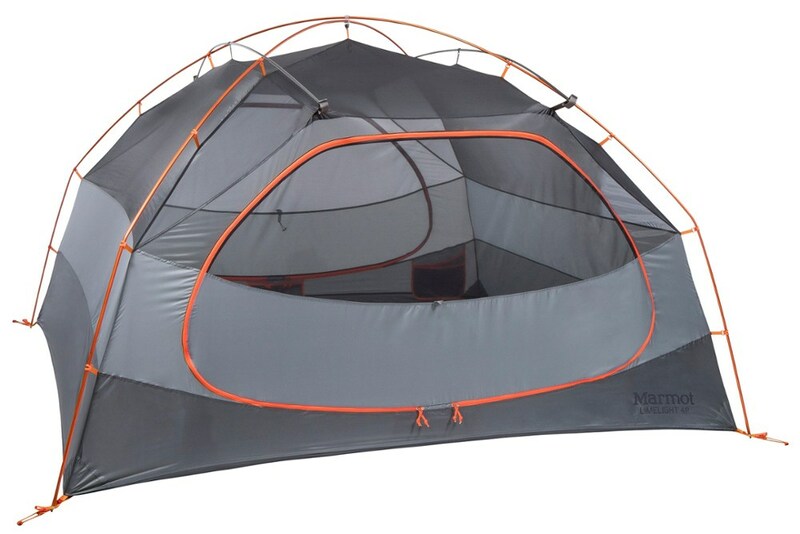 In general, this is a fair-to-good family tent for the price. I've had one for 4 years now and have had little trouble. That being said, if you are expecting a "Holiday Inn"-like experience from this tent, you will be disappointed. As a very experienced camper (I was a US Army infantryman and infantry scout and am now a field geologist) I can assure you that there is no tent on the market that will not leak. The Magellan Bryce Canyon seems a little more susceptable than some of the more high-end tents but these are issues that can be overcome with carefull planning and a few outdoors tips. (1) First, I always treat each new tent with Kiwi Heavy Duty Camp Dry. This silicone based product will assist in run off. Each tent gets an extra treatment before going to the field. Even the best made tents will allow dew in if not treated. (2) I always treat the seams with a good seam sealer, even the tents that have taped seams as taped seams are water resistant but not water proof. Allow the sealer to dry and then repeat. (3) Pick your site carefully. If you place your tent in a depression or on a slope you WILL get wet. Try to find as flat a location as possible. (4) Be sure to stake your tent down properly to ensure you dond't have a blow over. Never ever just rely on the enternal poles! (5) Once you have a good location and the tent is set up, dig a rain trench around the tent. This is a trench roughly 3" wide by 1" deep with a "tail" trench extending from one side (preferably toward a down hill location) that will catch water that may run toward the tent and help direct it away from the tent. (6) Even if we expect foul weather, we do not cancel a camping trip because this is part of the fun of roughing it. Instead, we carry additional tarps and even a portable shelter/canopy that we set up OVER the tent. This acts as an added layer of protection against a down pour. Once the storm is over, we can take the canopy back down (or leave it up if you like to help keep your tent cool in the summer). With proper care and planning any tent will hold up to the outdoors, even the Bryce Canyon! I hope these tips have helped. Now get out there and go camping! The only weather this tent is good for is dry, low to non-windy. First day out of the box setup was a nightmare. Poles went in great but as soon as I started staking the tent down, the sideseams ripped away from the bottom. The winds started gusting up to about 20mph and the whole tent started swaying to 45degree angles and thus the floor rips got bigger. 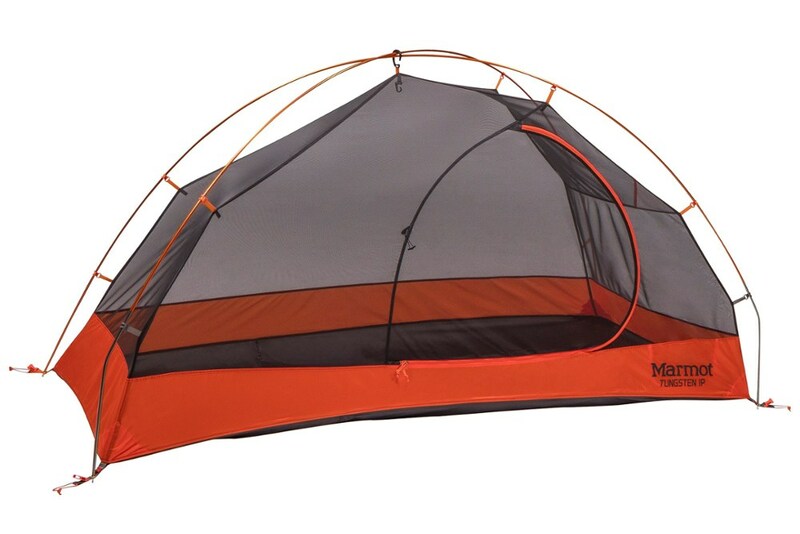 The tent is worth maybe $50 as it can still be used as a bottomless tent if it's not raining because seam sealer doesn't stop rain penetration. We're not "campers" by any stretch of the imagination but we do have a full family - Wife and I, 6-year-old, a 4-year old and (at the time) 4 month-old twins. This tent allowed us to put a queen-sized air mattress plus two singles and 2 pack-n-plays plus our gear. We had minor leaking from a heavy Texas spring rain but it was easily addressed. Perhpas it's not one to take on long expeditions but for a weekend trip it suited us just fine. I wish I would have read these reviews prior to purchasing this tent. First time we took this tent out it rained and the water leaked in at the seam that connects the tent and the protective floor. The leaks occurred all the way around. I will be taking the tent back for a refund now that I have read the reviews. I will not waste any more money!!! This would be a great tent if it did not leak. Don't use this tent right of the box. I too had a problem with rain on the 1st night out. There was a 3-5 inch rip along the floor seam of the back wall. Rain seemed to condense along the seams and pooled in the floor. Pins for the side poles would be useful although soft ground was fairly stable. Return at Academy Sports was easy. I just used a can water repellent and some seam sealer before taking out the replacement. Fingers crossed. This tent leaked through the sidewalls the second day it was put up. There was no rain the first day. It leaked so much that my 18-month-old grandson was in a wet sleeping bag and there was still over an inch of water on the tent floor. Since it was raining, all I could do was dry him off and sleep him on my chest the rest of the night to keep him dry. All our gear was soaked from sitting on the floor. We were on an eight day camping trip at the time so this made what should have been a great time, turn into a miserable trip. The sad thing was that the tent I replaced when I bought this one was in use for over 17 years. I am thoroughly disgusted with this product and will think twice about buying any serious camping gear from Academy. Don't waste your money! Fist night it rained and this tent leaks so bad we had to poke a hole in the floor to drain the lake of water. The water just ran in at he seams and there was no way to stop it. Ruined our trip! Wish I had read the reviews ahead of time. Similar experience to the others. Pins were missing for the support poles, material caught in the zippers, and it leaked around the bottom of the tent floor (a lot). We had two other tents set up and all the others stayed dry. The size made it perfect for cots, height in center, and storage pouches. Great dry weather tent but, if it rains, look for higher ground. 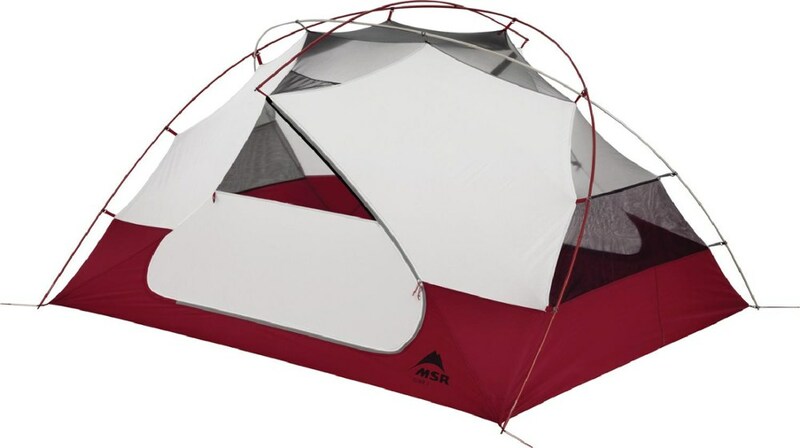 My family and I bought our tent from Acadamy Sports and thought we were getting a great deal. Wrong. We took it camping and everything was great the first day and then it rained. The tent leaked like a sieve and everything inside the tent was wet. If you're looking for a family tent, go ahead and spend the extra money and get a "good" family tent. I am not a happy camper. Upon assembling this tent at the state park, found out they did not attach the pins to the bottom of tent. Without those, you cannot assemble this tent. Had to drive in rebar into ground to even get the tent up. Slow, steady rain caused many leaks all around. Water also seeping up through floor. And every time used ANY zippers, they always got snagged. Upon returning home, returned and got refund. Will spend about double for my next tent, but will be much better quality. My husband and 2 kids camped in the rain for 5 days in this tent. We had problems with leaking because water was pooling on the rainfly, but adjusting the center poles to give it more of an incline all but fixed that problem. The floor gave us the most problem that after day 2 of rain; water came through the floor at night, but we sleep on air mattresses so that wasn't a problem. The size is great there's plenty of room for everything and the huge back window was great for catching the breeze. We had a tarp underneath it but it wasn't a perfect fit and where it stuck out from the tent actually funneled water under the tent we're buying a small tarp next season. The roof is also a plus in hot weather because it is complete netting, however in colder weather this is a downfall; if it's less than 60 degrees be prepared to be cold! We recently had a tent collapse on us in the rain, and had to shop for another. Our new Academy Sports opened up last weekend, and we had seen this product online. Got it home and set up pretty easily. Only three sets of poles. We waterproofed and seam sealed (note - the rainfly has taped seams and is of heavier material than tent). We tested it with water from the hose to see how it would shed - which it does wonderfully; however, there were leaks at the zippers and around the base where the floor meets the walls. Not dramatically though, considering we sprayed directly on those spots at full water power. We'll take for a trial run camping this weekend and see how well it holds up. It may need some additional tying down, but we'll see how well it does on a real run. Will update review if necessary. 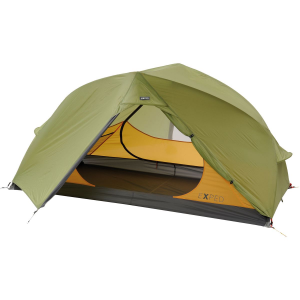 The Magellan (Academy Sports) Bryce Canyon Cabin Tent is not available from the stores we monitor.